Time released its 2016 list of “The 100 Most Influential People” today, and included in the top 22 pioneers was Felix Kjellberg, or PewDiePie if you’re on YouTube. 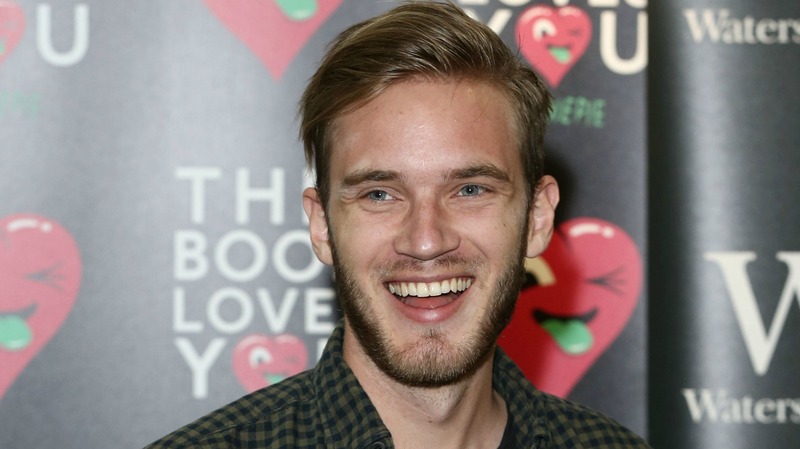 Kjellberg tops YouTube’s most subscribed list with 43 million people who voluntarily signed up to watch his videos. That’s more than double the number of people in New York City and Los Angeles combined. Not all YouTube content creators have the same level of influence or reach that Kjellberg does, but most of the top subscribed channels do match his talent. It’s time that we stop calling them “teenagers in their bedroom” and start respecting them as entrepreneurs and talented individuals. I really can’t understand why people have such a hard time respecting the top talent on YouTube, but it’s the same people who won’t give Kris Jenner her necessary props for being an incredible business woman. She took her family from vague familiarity to a dynasty, all because of a reality show on E!. I love E! as much as the next girl, but the Kardashians are definitely the exception and not the rule on that network. The same goes for YouTube. These are people who created a career from nothing. The odds of finding any audience in the YouTube abyss is slim to none. Creators like Kjellberg used grit, determination and talent to carve out a space for themselves and connect with an audience. How is that not inspiring? Now that Time is taking the space and the people seriously, hopefully the rest of the world will follow. Because, when you think about it, it’s the perfect situation. There are no studios, no executives, no gatekeepers to keep you from consuming exactly the kinds of shows and videos you want to spend your time watching. In the YouTube world, there is no #Oscarssowhite controversy. Everyone gets a shot. This is what’s best for everyone. Plus, YouTube is free. Say goodbye to your cable bill.